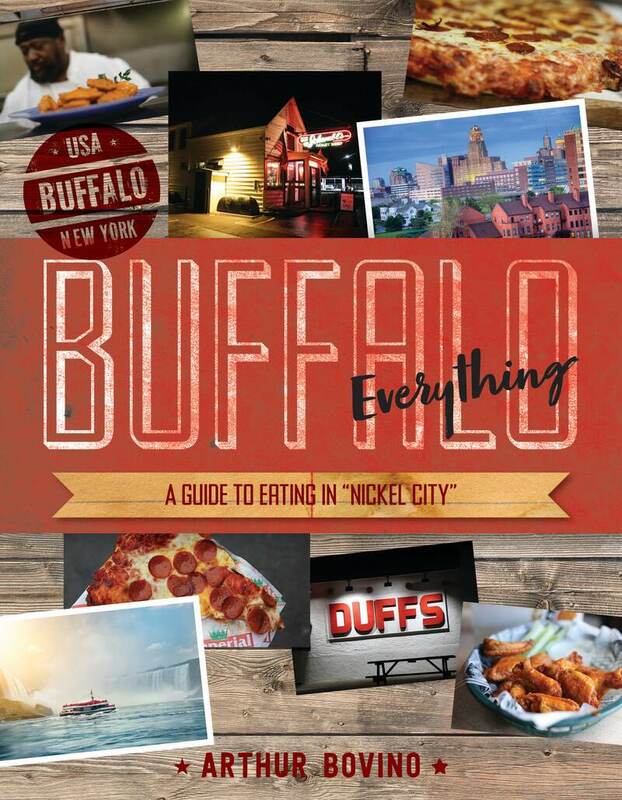 A Guide to Eating in "The Nickel City"
Buffalo isn’t just a city full of great wings. There is a great hot dog tradition, from Greek- originated “Texas red hots” to year-round charcoal-grilling at Ted’s that puts Manhattan’s dirty water dogs to shame. This is also a city of great sandwiches. It’s a place where capicola gets layered on grilled sausage, where sautéed dandelions traditionally make up the greens in a comestible called steak- in-the-grass, and chicken fingers pack into soft Costanzo’s sub rolls with Provolone, tomato, lettuce, blue cheese dressing, and Frank’s RedHot Sauce to become something truly naughty. Food and travel writer Arthur Bovino ate his research, taking the reader to the bars, the old-school Polish and Italian-American eateries, the Burmese restaurants, and the new-school restaurants tapping into the region’s rich agricultural bounty. With all this experience under his belt (and stretching it), Bovino has created the essential guide to food in Buffalo.